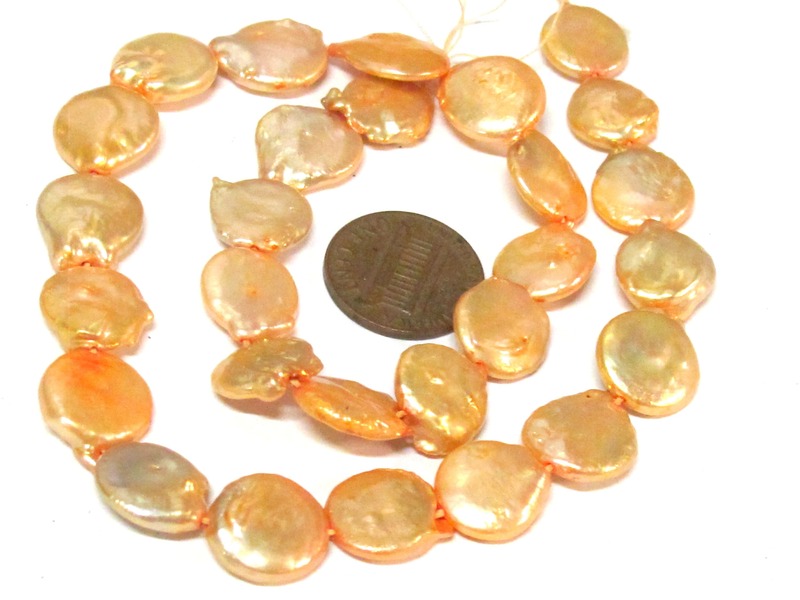 This listing is for 1 full strand of approx 14 inches . 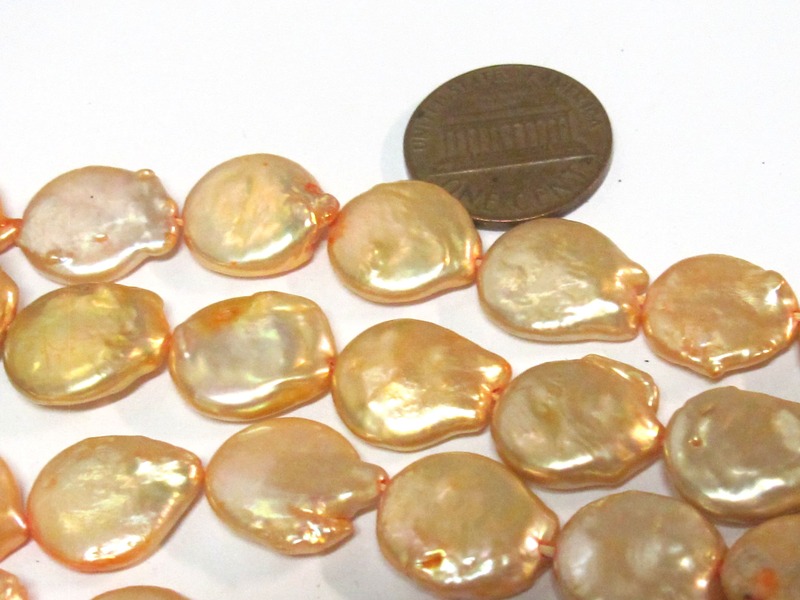 Champagne color brownish peachy tone genuine freshwater pearl beads. 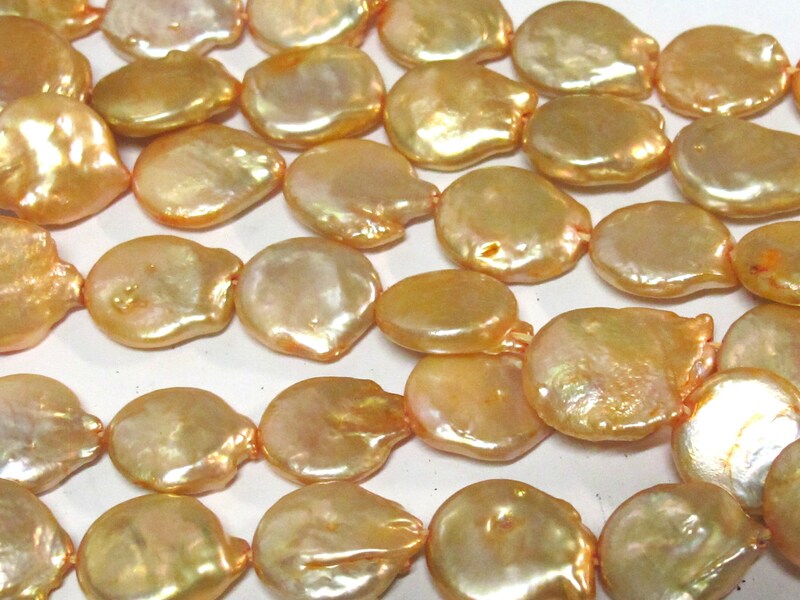 Since these are made from natural pearls - size and shape of each bead will slightly vary from the other. 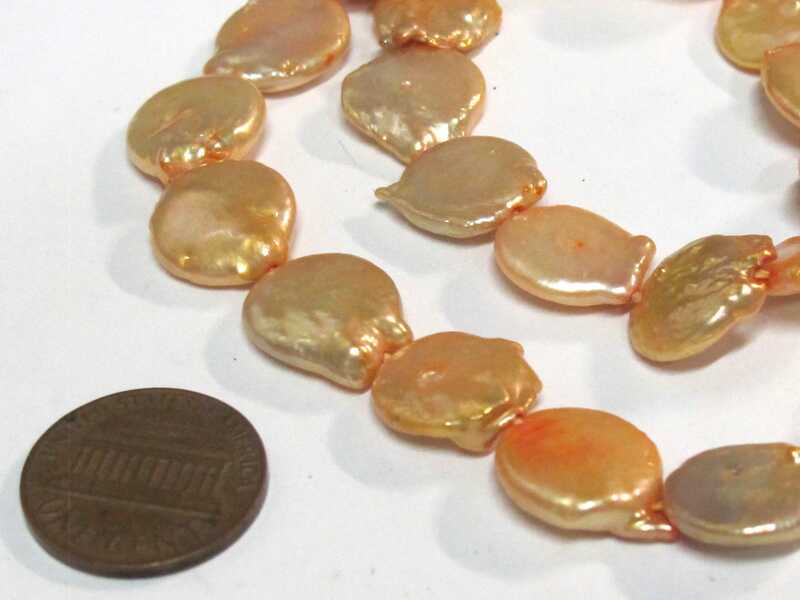 Coin disc shape.